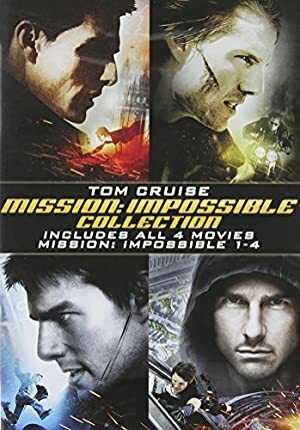 Mission Impossible is a series of action/espionage movies that started in 1996 and is still running 20 years later. Though it is vaguely based on the famous television series (1966-1973), it is in effect much more of a vehicle for actor/producer Tom Cruise, and relies on modern American action tropes rather than 1960s ones. This profile is based on the first two Mission Impossible movies, in 1996 and 2000. Since it was written during the early 2000s and we haven’t had time to update. 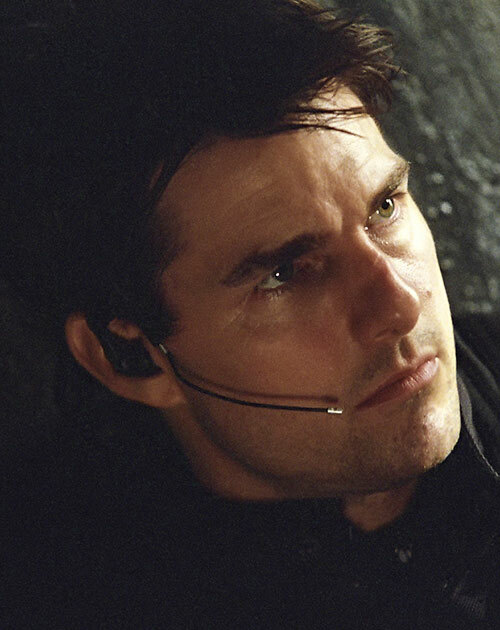 Ethan Hunt is a veteran IMF agent with extensive experience in covert operations, both intelligence and assault. He is quite gifted at planning secret intrusions. He has an incredible gift for observation and detective work and works well solo or as part of a group. Hunt is also highly charismatic and has demonstrated himself to be a very talented actor, both in terms of disguising himself as other people and in terms of hiding his true feelings and reactions. Ethan usually carries one or two 9mm pistols – usually a Beretta 92 variant. The standard communication kit for IMF agents are earplugs, wristwatches and lapel/glass pins. They could listen to transmissions via the earplugs and watch them via the wristwatch. They could transmit audio by speaking into the wristwatch’s microphone and transmit video through a microcamera in a set of spectacles or a decorative pin. Each wristwatch included a GPS tracker. Communications were usually managed by an agent who stayed off-site and routed the signals through a computer and coordinated the agents’ activities. Lifelike masks. These specially-designed full-head masks include a voice-altering mechanism to match the mask’s subject. Earlier versions of these masks were in use at the time of the first movie. These couldn’t mimic voices ; in DC Heroes terms the wearer had to use his Artist (Actor) Skill to provide the appropriate voice. Ethan usually carries around a couple of small bombs for those extra special occasions. If he is in a civilian ID, the explosives will be smaller ones such as the explosive chewing gum he used in the first movie (8 APs in DC Heroes terms). If he is in the middle of a break-in and expecting a fight, he’ll usually bring larger, more mundane explosives (10 APs). Ethan will usually have various other gadgets in his possession at any given time, particularly if he’s attempting a break-in. One example was the hidden parachute he had during the Biocyte break-in in M:I2. 1080p trailer for the original, 1996 Mission Impossible movie. Ethan Hunt was a talented young man recruited for the CIA’s Impossible Missions Force (IMF) by veteran agent Jim Phelps. Ethan was trained by and eventually served under Phelps as a member of the IMF’s finest team of field agents. That was in the waning years of the cold war between the USA and the USSR. Consequently, Hunt has a great deal of experience and numerous contacts in the countries of the former Soviet Union. After the end of the cold war, Phelps’ team was assigned to a broader range of IMF missions. The last of these was an embassy break-in. The object of the mission was to prevent the distribution of the Non-Official Covert agents (NOC) list. It held the code-names and true identities of American secret agents throughout Europe. The embassy mission was a trap, however. Most of the Phelps team was killed except for Ethan and Phelps’s wife, Claire. Ethan reported to his superiors, only to be told that the mission was meant to be a mole-hunt to find a traitor within IMF itself. The NOC list was a decoy and Ethan was now the prime suspect. Ethan escaped from the IMF arrest team and began hunting the traitor himself. In the course of his rogue operation, Ethan broke into CIA headquarters. He stole the true NOC list for American operations around the world. He intended to use it as bait in his own mole-hunt. He also discovered that Jim Phelps had actually survived. Hunt realized that Jim and Claire Phelps were the moles, and (with the help of hacker Luther Stickell) stopped them while keeping the NOC list from getting out in the open. In the aftermath, Ethan rejoined the company, but he was a changed man. He refused to work with a regular team after the loss and betrayal he had suffered at his mentor’s hands. Instead, he would recruit specialized help as needed for specific missions. He also trained himself much more extensively in the various physical skills he would need for solo operations. His latest mission of interest involved a bioweapons threat. A rogue IMF agent, Sean Ambrose, had captured a sample of a super-vaccine named Bellerophon. He now sought the complementary super-virus Chimera. With the help of international thief Nyah Nordoff Hall, Ethan was able to track Sean down, recover Bellerophon, and destroy the Chimera virus. He and Nyah also started a romance. Ethan took a vacation from IMF after completing his mission to see where that relationship might lead them. Trailer for the second movie in 2000. I doesn’t seem available in HD on YouTube as of this writing, alas. Ethan Hunt is a handsome, medium-height Caucasian male who often wears a dashing smile. Earlier in his career, he wore his hair short, in a sort of young executive style. He currently wears his hair at about shoulder-length. He usually wears whatever best suits the circumstances, be it formal wear, casual clothing, or military gear. While off-duty, Ethan tends to wear high-quality casual attire. As noted by his superiors, Ethan is proactive, tending to initiate events rather than respond to them. Even before Jim Phelps betrayed him, Ethan tended to act independently. That trait became his dominant one after his time as a fugitive. He is capable of planning and undertaking very intricate schemes, particularly covert intrusions. He prefers misdirection to confrontation, as is expected of a covert agent, and will do his best not to endanger innocent bystanders. Ethan is extremely observant. He has an almost-photographic memory, and his ability to make profound deductions with limited clues is particularly impressive. He is also very good at hiding his reaction to critical information. For example, during one mission he realized one of his hired hands was also one of the people who assassinated his former team. Hunt did not show any visible reaction that would have given away this revelation. His mentor’s betrayal and the loss of his teammates had a profound effect on Ethan. He now operates as a solo agent who assembles ad hoc teams rather than working with regular partners. In part, he does not want to make himself vulnerable to double agents again. Mostly, though, he does not want to become close to people that he might lose, as happened with his original team. He is also even more rebellious than he was before, and occasionally chafes at the restrictions laid down by his superiors. Ethan tends to engage in all manner of extremely dangerous sports (such as rock climbing without ropes) when off-duty. Ethan enjoys engaging in playful banter in conversation and often wins people over quickly by virtue of his charm. Ethan Hunt is actually King “I-Spy” Faraday’s adopted son, and was raised hearing stories about the Danger Trail and how to survive it. Hunt was trained in the use of disguises by a disciple of the Unknown Soldier (and thus may be considered a replacement for the Soldier someday). On occasion, Ethan has worked alongside Nemesis and Christopher Chance (a.k.a. the Human Target). He may have even stood in for them in certain cases, depending on how deeply one wishes to embed Hunt in the DCU. When Faraday (a white-haired spy not unlike Phelps) seemingly betrayed his country during the Janus Directive, Hunt went rogue in order to prove his innocence. This ultimately resulted in Hunt becoming a Knight for Checkmate, although an unconventional one. He has also worked with the NBI and is currently on assignment with the DEO. He is helping them to “close” some of J’Onn J’Onnzz’s more high-profile identities. Languages (Russian), Omni-Connection, “Rich Friend” (IMF), Scholar (Covert Intrusions, Russian Intelligence Operations), Sharp Eye. Impossible Missions Force (Low), Luther Stickell, computer hacker (High). 9mm Automatic Pistols [BODY 04, Projectile weapons: 04, Ammo: 13, R#03, Cost: 10]. EARPLUGS [BODY 01, Radio Communications: 05, Limitation: Receives audio only]. WRISTWATCH [BODY 01, Radio Communications: 05, Bonus: Receives visual signals instead of audio, includes location beacon, Limitations: only transmits audio]. Glasses/Lapel Pin [BODY 01, Radio Communications: 05, Limitations: cannot receive signals, only transmits video]. MASKS [BODY 01, Chameleon: 10, Artist (Actor): 10, Limitations: Chameleon is only a full-head mask, so it does not mimic clothing (-1), Actor is limited to duplicating voices (-1)]. Explosive charge (x2) [BODY 01, Bomb: 8-10.]. 2x 10 AP C Omni-Gadgets. At the time of the first movie, Ethan had not started his current demanding physical regimen. Drop DEX by 02 APs, STR and BOD by 01 AP, and drop all DEX-related skills to 05. He also lacked the Techniques Subskill of Martial Artist. 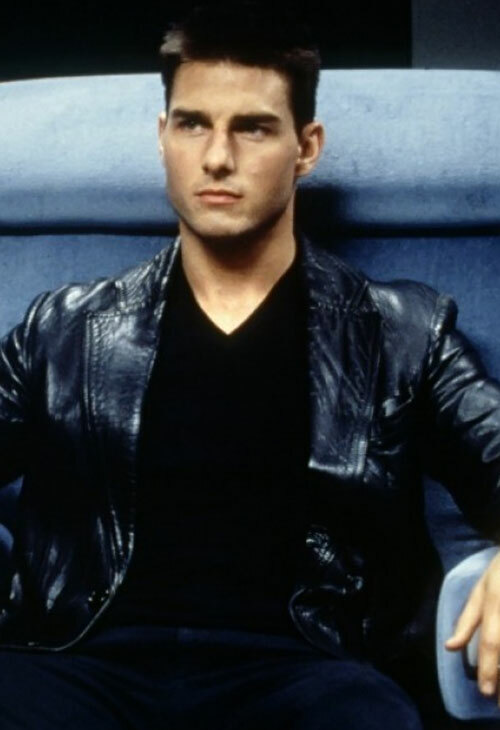 Source of Character: Mission: Impossible I & II (movies), character played by Tom Cruise.